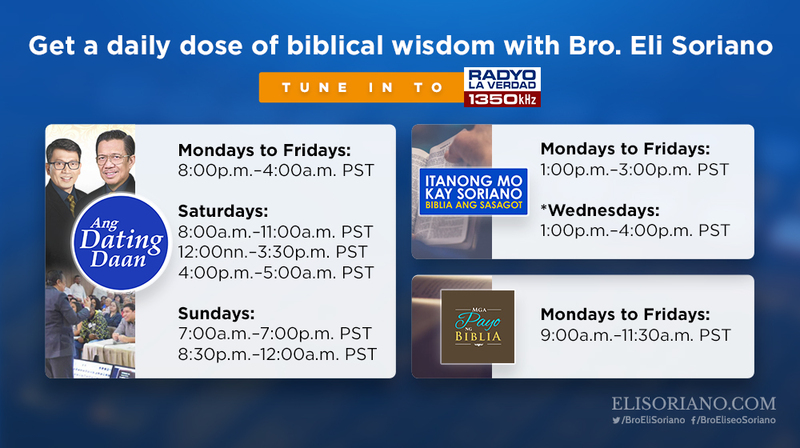 Get a daily dose of biblical wisdom by tuning in to Radyo La Verdad 1350’s Members Church of God International-produced programs. Listen to Bro. Eli Soriano as he tackles diverse topics and controversial issues in the religious world and hear the Bible’s answers to questions of people from all walks of life.